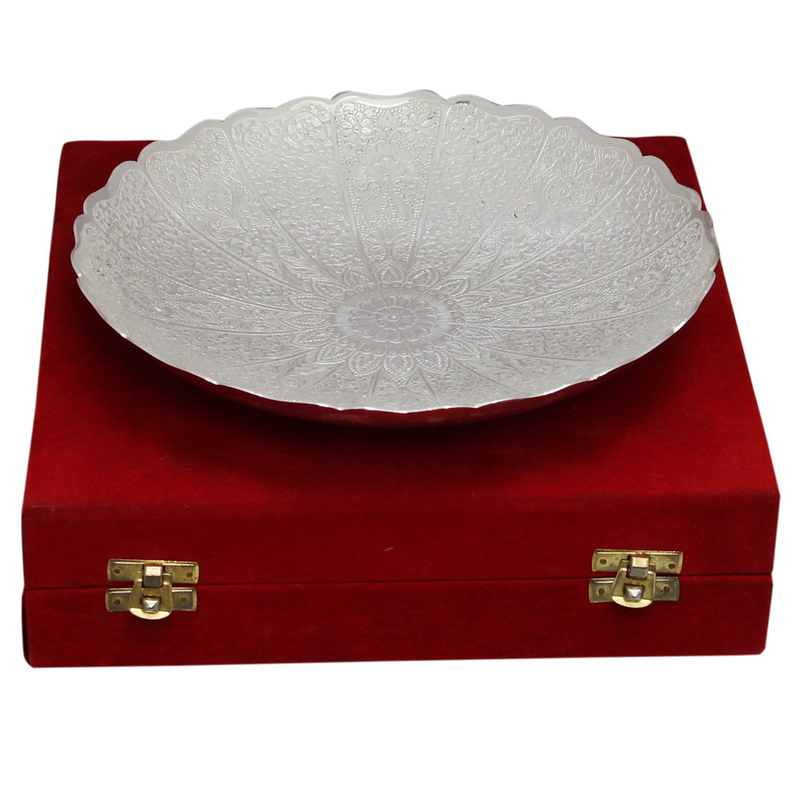 The Ornate Dry Fruit Serving Bowl in German Silver is bound to amaze and mesmerize all to who set their gaze upon this piece of Read More..beauty. The delicate patterns adorning the body of this exquisite dry fruit serving bowl makes it ideal for adding a large dollop of grace and elegance to any dinner table, while also showcasing the refined taste of its owners. Therefore, it provides the ideal opportunity to lovers of such fine craftsmanship to show their impression for the craft and impress others. Show Less..